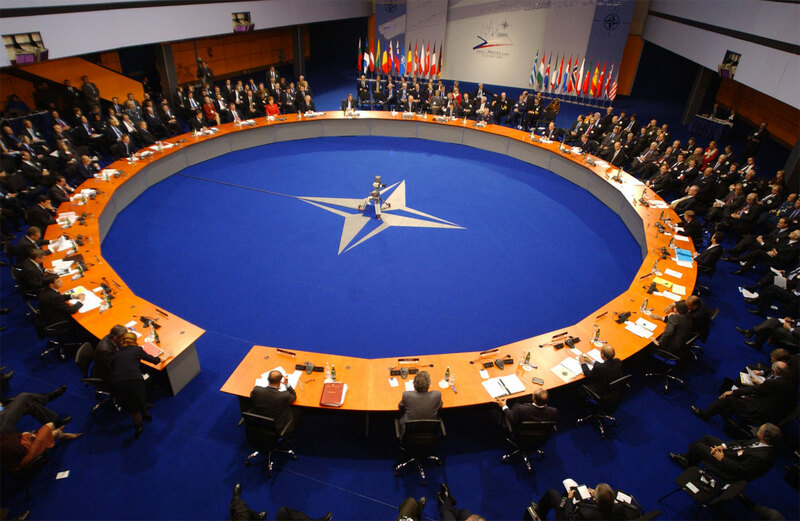 The history of European security â€“ particularly its Western side â€“ after the Second World War, is strongly linked to the history of the North Atlantic Treaty Organization. NATO is one of the most impressive and successful attempt to create a collective defense organisation and, during its long history has shifted its visions, strategies and duties vis-Ã -vis the various kind of threats it faced. The Alliance was built up in 1949 with the Washington Treaty, that provided a fundamental framework for collective defense for countries on the Western side of the Iron Curtain. 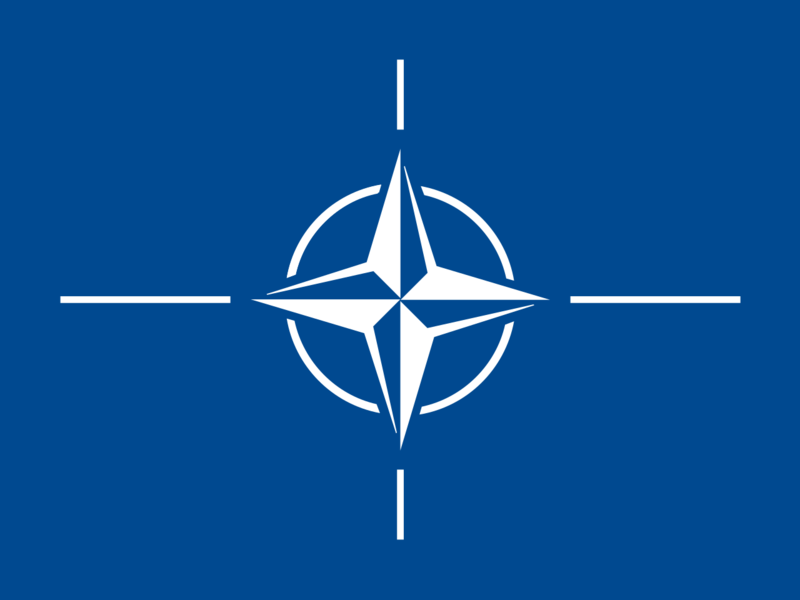 The cornerstone of NATO's collective security tool is the well-known article 5 which states: â€œThe Parties agree that an armed attack against one or more of them in Europe or North America shall be considered an attack against them all and consequently they agree that (...) each of them, in exercise of the right of individual or collective self-defence recognised by Article 51 of the Charter of the United Nations, will assist the Party or Parties so attacked by taking forthwith (...) such action as it deems necessary, including the use of armed force, to restore and maintain the security of the North Atlantic areaâ€�. Also article 4 provides for some degree of coordination, namely consultation, in case one of the parties is threatened in its territorial integrity or political independence. Considering that the aim of NATO was to protect the borders of the so-called â€œFree Worldâ€� and a specific economic and political ideology, the Treaty mentions also the need for economic collaboration and to â€œseek to eliminate conflict in their international economic policiesâ€� (art. 2). During the first decades of the Cold War, NATO has put forward its nuclear deterrence to contain the main threat of that time: the security in European soil from a potential Soviet invasion. In fact, to counter the Western Alliance, also the Soviet Union built up its own Warsaw Pact in 1955 that will be the primary concern in security realm of US and its allies until 1990. One have to consider that at that time geopolitical tensions, the risk of a total war and many historical rivalries between states were likely to boost the share of military expenses for countries on their national GDP. The question began to change with the easing of tensions and the ultimate ending of the confrontation with Soviet Union, collapsed in 1991. Since then, NATO found itself as the most important collective security organisation. But the history for NATO did not end up. It faced some structural transformations and started operating outside its own area, in many crises scenario that an increasingly world unstable was providing. From Kosovo in 1999 to Afghanistan in 2001 as well as Lybia in 2011 NATO learnt to transform itself from a massive organization focused on principles like nuclear deterrence and Mutually Assured Destruction (MAD), to an organization keen in counterinsurgency and counterterrorism operations, primarely focused on human rights defense and so-called humanitarian interventions based on the new concept of Responsability to Protect (R2P). Also a controversial process of enlargment started and many countries that were former members of the Warsaw Pact or from former Yugoslavia decided to join the Alliance, provocking many criticism from Russia and Serbia in particular. A part from geopolitical issues, many of these countries were poorer then US or its Western European allies and joined NATO also to have a credible patron in security realm against possible external aggression (typical case: the Baltic states). This meant the rising of a new pressing question: who is going to pay for NATO? As previously said, the end of the Cold War and the enlargment of NATO, had as consequences the sharp decrease of defense expenses in both percentage terms (related to the national GDPs) and in absolute terms. These trends highlighted the role of US as leader of the Alliance, also regarding expenses: as the former Director of Carniage Europe noticed, US had already a share that equaled the 59% of total NATO defense spending in 1995, this share has impressively increased to 70% of the total during the year 2015. Two major events have pushed US administration to ask to its allies to employ more resources in order to reach a more fair burden sharing: the worsening of the situation in Ukraine since 2013 and the election of Donald Trump as President of United States in 2016. As for the former, the already unbalanced situation about the sharing of defense spending has been put under strong criticism after Russian intervention in Crimea â€“ that brought to its annexation - as well as the active support of Russian Federation provided to the Donbass rebels in Eastern Ukraine. In the same year of the annexation of Crimea, NATO members were asked in a summit at Newport (Wales) to reach the 2% of their national GDP in defense spending in ten years. Nowadays just five countries out of 28 are complying with this figure: United States, United Kingdom, Estonia, Poland and Greece. It is interesting to underline that the five â€œcompliantâ€� nations, have a higher share of GDP devoted in defense spending also for other reasons than being a member state of NATO: United States is considered to be the only superpower of the world and is the founder of the Alliance; United Kingdom also has a similar vision of being itself a great power, a vision well expressed in all its official document, particularly its National Security Strategy. The other three countries have in common geopolitical tensions and rivalries with third countries: Estonia and Poland are following a consistent anti-Russian path in security and foreign policy realms, Greece has long-lasting tension with Turkey, even though they are both part of NATO. All other NATO members' defense expenses fall short of the required 2%. Even important countries such as Germany or Italy spend respectively 1,19% and 1,11%, while other relevant cases are Spain, spending just 0,9% or Luxemburg spending 0,44%, last country in the bottom of the list. Going back to US' demand in Newport, it is undeniable that the question of a fair contribution is not new and moreover many NATO members have done almost nothing in the last three years to reach the required threshold. An additional boost to this issue has been the completely unexpected election of Donald Trump as President of United States. Trump presented himself as the anti-establishment candidate, trying to catch populist electorate and put enormous emphasis in his speeches on the ideology of isolationism under the slogan â€œMake America Great Againâ€�. During his electoral campaign, he repeatedly criticized the role of NATO, defining it as â€œobsolateâ€� and in need for a stronger focus on issues like terrorism. The claim for a more fair sharing of the costs of the organisation has been another recurring feature of his campaign: he even arrived to state that, in case of election he could have refused to defend NATO members that do not pay enough, shocking both national and international audience. After Trump's election in November 2016 the path of the demand for more financial effort of US' allies has been pursued not just by the President: looking forward to the future NATO meeting in Brussels, in May 2017, the Secratary of State Rex Tillerson asked already in March other parties to prepare actual plans to comply with the request for defense spending at 2% of national GDP. Once in Brussels Trump has been the protagonist of a very tough speech in front of all the leaders of member states. Also the demand for further focus on terrorism has once again come into light after Trump election: in fact, the Secretary General of the Alliance Jens Stoltenberg has underlined this necessity in a recent interview to the Italian newspaper Il Sole 24 Ore , linking not by chance once again this aspect with the burden sharing promise made in 2014. It is finally convenient to see and understand which kind of advantages US can receive from pushing for this policy of â€œfair shareâ€�. I would like to notice that first of all the Alliance itself could gain from the ending of a behaviour that is strictly definable as a massive free-riding. In the aforementioned Trump's tough speech in Brussels, he stated that the Alliance could gain 119 billion dollars for this collective defense system. So the first immediate advantage is easely understandable. The second advantage for United States, could be the obvious possibility to save money and resources with the purpose to use them for other internal matters. This aim could fit well with Trump isolationist tendency according to his slogan â€œAmerica firstâ€�. On one hand the Alliance could find itself stronger as far as financial resources are concerned, on the other hand United States could decide how much to cut expenses to be deployed for internal matters while continue being the major shareholders of NATO, keeping its military and strategic control of the Western world as hegemon. Starting from this argument one could underline how, the demand for more spending that US administration is asking to its allies, give to US itself another advantage in the future: the major geopolitical challenge that the first world power is increasingly facing in many sectors is exatly the decreasing of its own role in the world arena. The contemporary trend to multipolarity that is affecting the world of international relations has many faces, so to say. One of them is the possibility for the European Union to be more independent from US for instance through the creation of an autonomous and independent â€œEuropean Armyâ€�. The project is not new, and famous attempts like the European Defence Community has been already made without success. If one consider that, out of 28 NATO member states, 22 are also EU members, the creation of an independent European security system could potentially seriously endanger the structure and hierarchies inside the Western collective defense. If US will be able to push for a sharp increase in defense spending in favour of NATO, is almost impossible to figure out how, many additional financial resources could be driven from national GDPs to finance also another defense system for European countries. Last practical consideration is that it is at least unlikely that the majority of NATO members is going to finally comply with the duty of a fair share of the costs of the organisations: first of all commentors have noted that many of them simply cannot afford it, secondly many countries are not facing threats at all: for instance it will be very unlikely to see the head of government in Luxemburg going to explain to the electorate the reasons why he will rise five times more defense expenses of the nation. Moreover any future project of an integrated European common defense will find the veto of US administration that will ask why the 22 countries that have both NATO and EU memberships are willing to spend for it but have no money for the North Atlantic Alliance that protected them during the hard years of Soviet threat.